You probably don’t think about your leaf gutter system in Houston, TX too often if it’s working properly, but the only way to ensure that it continues to function is to give it the proper maintenance. Not everyone is fit to perform gutter maintenance, but anyone can work with a specialist to outline a professional maintenance plan. Just make sure you stick to a regular schedule and maintain your gutters before a problem occurs. You can help yourself out by installing gutter guards, which will help keep debris out, so your gutter system can do its job. Continue reading for more about the dos and don’ts of gutter cleaning. 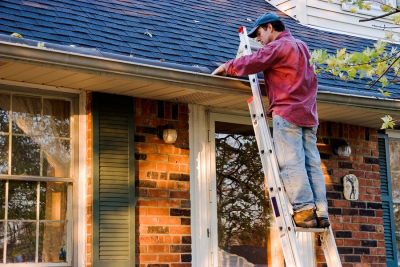 Gutter maintenance is a necessary task, but that doesn’t mean that you must take it on alone. Some people aren’t physically capable of climbing up the ladder and cleaning out their gutters themselves. In this case, the gutter maintenance professionals would be happy to help. You can set up a schedule with your specialist, and he or she will make sure your gutters are completely cleaned out at specific intervals. If you are able-bodied and handy, you might want to clean your gutters on your own. Use a sturdy ladder and keep three points of contact at all times. Missing your gutter maintenance mark by a day or two might not be a big deal, but don’t go too long between maintenance sessions. Blockages can develop relatively quickly, and you’ll be left to deal with the problems that they create. Overflowing gutters threaten your foundation as well as the interior of your house thanks to the problems that come with excess moisture. Don’t wait to maintain your gutter, and talk to the professionals if you need help. Gutter guards can be massively helpful in terms of gutter maintenance. You’ll still have to clean your gutters, but the guards will help keep debris out. This makes your gutter system more efficient, and it’ll be easier to clean them when the time comes.